It’s safe to say that few, if any, envisioned first-year point guard Kihei Clark carving out a starting role for the No. 4 University of Virginia men’s basketball team this 2018-19 campaign. The California native aimed to become a contributor in some capacity for a Cavalier squad that returned top backcourt starters Ty Jerome and Kyle Guy, but even he probably wouldn’t have predicted that he would be averaging 28 minutes per game and would have started twice in UVA’s first seven games. Then again, Clark is used to surpassing expectations. Take the fall of 2015, for example, when Derrick Taylor returned to coach the Taft Charter (Woodland Hills, CA) boys’ varsity basketball team after a stint at St. John Bosco. Taylor’s initial reaction is commonplace for Clark, whose small stature and youthful appearance overshadow, at least initially, an intense competitor with some serious quickness and a high basketball IQ. By the time Virginia men’s basketball’s media day rolled around on November 1, the 5’9” Clark had made a strong impression on his new team, in particular Jerome and Guy, who along with De’Andre Hunter and Jack Salt have started alongside the true freshman the last two games. Clark’s fearless play has been on full display through No. 4 Virginia’s first seven games of the 2018-19 season, most especially in the Cavaliers’ past two games – the Battle 4 Atlantis championship versus Wisconsin and road matchup with Maryland in the ACC/Big Ten Challenge. 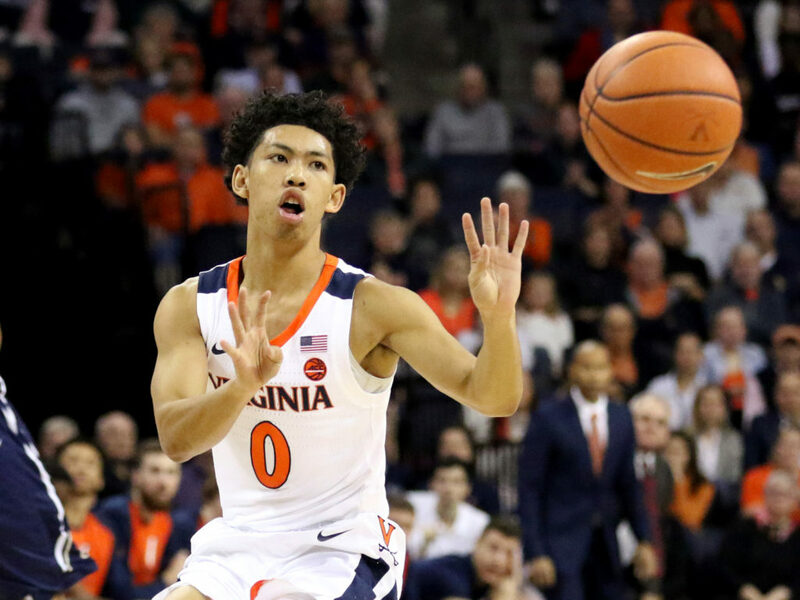 In his first two games as a starter, Clark averaged 36 minutes, 4.5 points, 3.5 assists, 3.5 rebounds and 2.5 steals per game while committing zero turnovers as the Hoos defeated their first two ranked opponents of the season. Clark has contributed some on the offensive end –- he scored nine points in a home win over Coppin State and nine more in a win over Dayton in the Battle 4 Atlantis semifinals — and boasts impressive 20-to-6 assist-to-turnover numbers in seven games. The true freshman’s calling card, however, has been his defense. Against Wisconsin, Clark helped badger Badgers point guard D’Mitrik Trice, who finished with five points on 2-of-9 shooting and three turnovers against the Cavaliers. The athletic Trice had 25 points in a team’s win over Oklahoma the previous day. In front of a rowdy Maryland crowd in Virginia’s first true road game of the season, Clark was tasked with defending Terrapin standout point guard Anthony Cowan Jr. Fourteen seconds in, Cowan was called for a charge. The defender was Clark, who let out a scream to let all know he was ready for the challenge in College Park. Tony Bennett first noticed this same competitive spirit and clutch play from Clark during the 2017 Peach Jam championship. Bennett, in the market for a point guard in the class of 2018, watched as the then-UC-Davis commit poured in 18 points and sparked the Oakland Soldiers to a title win. The Cavalier head man was originally on hand to watch another Soldiers point guard — current Georgetown freshman James Akinjo –- but recalls telling his staff that UC-Davis had gotten “a great commitment” in Clark. Bennett has seen more of the same from Clark since the first-year enrolled on Grounds this past July.